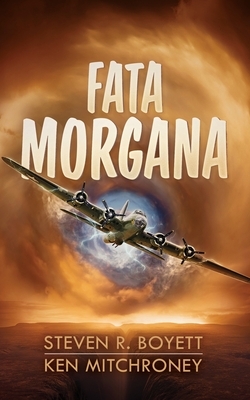 At the height of the air war in Europe, Captain Joe Farley and the baseball-loving, wisecracking crew of the B-17 Flying Fortress Fata Morgana are in the middle of a harrowing bombing mission over eastern Germany when everything goes sideways. The bombs are still falling and flak is still exploding all around the 20-ton bomber as it is knocked like a bathtub duck into another world. Suddenly stranded with the final outcasts of a desolated world, Captain Farley navigates a maze of treachery and wonder-and finds a love seemingly decreed by fate-as his bomber becomes a pawn in a centuries-old conflict between remnants of advanced but decaying civilizations. Caught among these bitter enemies, a vast power that has brought them here for its own purposes, and a terrifying living weapon bent on their destruction, the crew must use every bit of their formidable inventiveness and courage to survive. Fata Morgana-the epic novel of love and duty at war across the reach of time.